Home / Duterte Critics / Liberal Party / LP / Pia Morato / Pia Morato Defends Duterte / Pres. Rody Duterte / Viral Stories / Pia Morato Defends Pres. 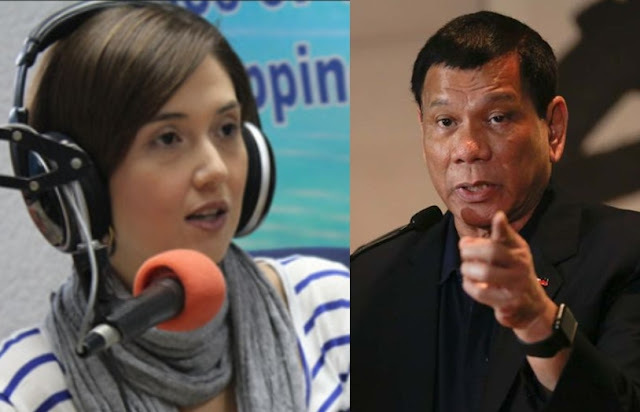 Duterte: "He Has Done Things I Do Not Like, But It is Nothing Compared to What He's Done for Us"
Pia Morato Defends Pres. 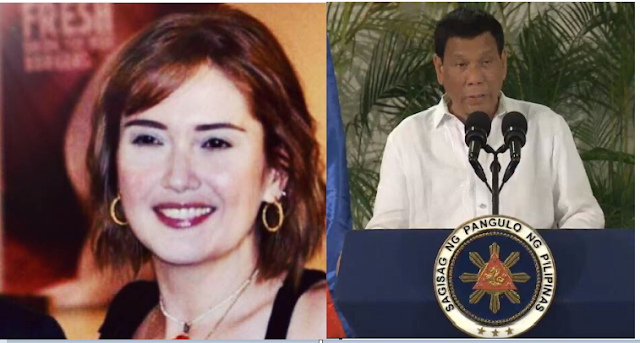 Duterte: "He Has Done Things I Do Not Like, But It is Nothing Compared to What He's Done for Us"
Veteran news anchor and popular radio broadcaster Pia Morato made headlines on social media after she made an opinion about our duly President Rodrigo "Rody" Duterte because he has done everything for us. The veteran advocate of an Early Childhood Education, Ms. Pia Morato was quoted as saying "He Has Done Things I Do Not Like, But It is Nothing Compared to What He's Done for Us." Pia Morato stated that she's not to judge the country's chief executive about his foul words and his own religious belief, but she can tell what she really sees. The veteran radio host admitted that the President is certainly an imperfect person, because of his words and numerous curse that would really make people cringe and even hurt your own religious belief. However Pia Morato stressed that the imperfections of Pres. Duterte couldn't compared to what he has already done so much for the country in the past two years. Despite the critics continues mocking, scoffing, maligned and disrespect of the President that he received from time to time but the President just continued his job and he is doing it well. “So although this President has done things I DO NOT LIKE , I am not his judge ...” Morato said. “His sin is for him to reckon with and MY FAITH tells me, no matter how horrible we've been, we are loved and forgiven.” She said. “I can only look into my own heart because looking into the hearts of others is certainly something I cannot do ... only GOD can see our hearts after all.” Morato added. I see an imperfect person - one that makes me cringe each and every time he curses . I also see a DULY ELECTED PRESIDENT who since the day he stepped into office , has been under attack , scoffed , mocked , maligned , disrespected to a point of literally asking him to step down while ignoring each and every time any accomplishment in his administration . His sin is for him to reckon with and MY FAITH tells me, no matter how horrible we've been, we are loved and forgiven. I can only look into my own heart because looking into the hearts of others is certainly something I cannot do ... only GOD can see our hearts after all . As for what I do not like about the President , it is NOTHING compared to what he has done for our country in the past 2 years . I will therefore take every bit of it because at MOST , what I hate about the President , I CAN SEE ... the raw , the ugly , it is right there. Nothing to hide . No pretensions unlike the self righteous hypocrites who do nothing but keep us in the dark .